HIT THE ROAD: New Camps Australia Wide owners Heatley and Michelle Gilmore are eager to share the joys of the open road with as many people as possible in the latest edition Camps 10. 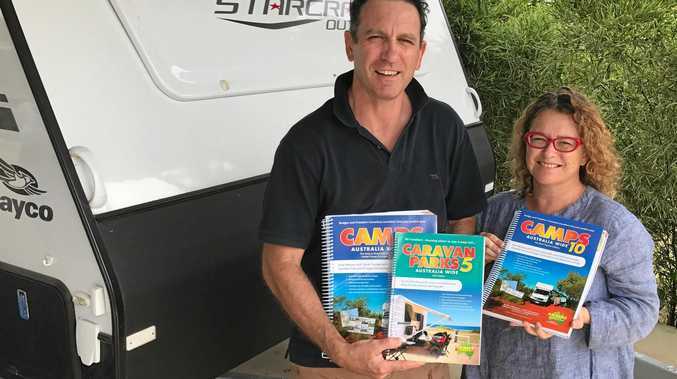 CAMPS Australia Wide has become "the travellers' bible" since it started over 20 years ago, but new owners Heatley and Michelle Gilmore have made Camps 10 more comprehensive, user-friendly and accessible than ever. The Rainbow Beach couple took over the business almost 12 months ago, having been loyal fans since their own "life-changing trip" around Australia with their kids six years ago using Camps 7. They are passionate about the country, travel being affordable for all, and respecting the land you camp on. They firmly believe the Camps books help ordinary Aussies of all ages to take the road less travelled and explore places they might never otherwise have seen, with a freedom previously impossible. "They have definitely made it easier for people to get out and feel confident to travel on their own," Heatley said. Asked what their advice would be for Seniors considering taking up caravanning and camping, Michelle was adamant, "Go now, while you're well; don't hold off". She said the family's months travelling Australia together were "very special", bringing them into close quarters physically but also emotionally, learning about each other and taking them to bucket-list destinations as well as "unforgettable places we had never thought of that just knocked us out". "It's really something you've got to experience," she said. Camps 10 includes over 950 new campsite listings, bringing the total to over 4950, including more pet-friendly sites than ever before, as well as 925 public dumping points. Listings include free or low-cost overnight stops, camping areas, outback camp sites, national parks, forest reserves, station stays, rest areas, showground and farm stays. All listings have addresses, map and GPS references, and easy-to-read graphics showing exactly what facilities are available, including water, showers, toilets, disabled access, power, shade, barbecues, picnic tables, views, boat ramps and fees, as well as weather access and any time limit on stays. Sites get the tick of approval if the authors have found them particularly good due to their position, vista or above-average facilities. The edition has been fully researched and updated for 2019/20, is now spiral-bound and lighter weight, making it easier to travel with, has a double fold-out cover with a map of Australia inside, and uses the latest Hema maps. Every state is colour coded, but there is one index for the whole country, making it easier to plan. You can even choose from an 'easy to read' version, with larger maps and slightly larger text and photos of campsites, with extra space for your personal notes, or the A4 version, without camp photos, as well as an ebook available on Kindle. Fortnightly newsletters are also available, in which the couple shares favourite places, new listings and reviews as well as new products available. But perhaps most exciting of all is the companion app ($9.95 per year), with all the relevant information plus allowing instant updates, and travellers to add their own comments, photos etc of sites. "Our ultimate goal is that no matter how campers wish to access our product, we can give that to them," Heatley said. He loves to see people's well-thumbed and travelled books, with places circled and notes scribbled. For him, it tells the story of exploring and sharing stories across campfires of places visited. If you also like to stay in commercial caravan parks, as Michelle said as a family they sometimes do, Caravan Parks 5 is the perfect addition (and a travel pack with both editions is available). 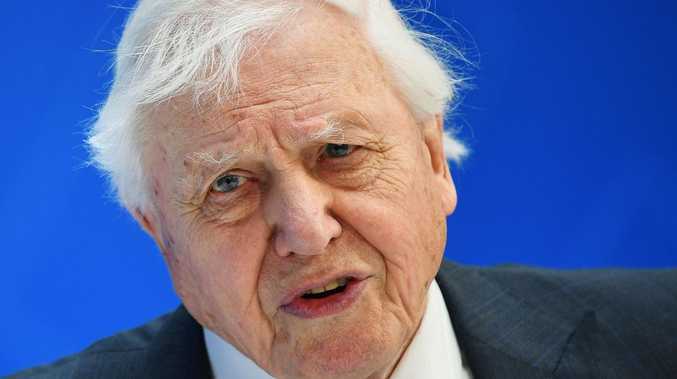 Of course the more money you save, the longer your trip can be and, particularly for over-55s whose trips are traditionally longer, Heatley said, that's important. While the couple are eager to see as much of the country as possible, they couldn't do all the research for the new edition themselves, with a team of people around Australia helping them out, as well as customers contacting them with tips and updates. Heatley paid tribute to the original creator of Camps Australia Wide, Phil Procter, and subsequent owners Philip and Cathryn Fennell, saying "hundreds and thousands of travellers had benefited from that initiative". To order your copy, go to campsaustraliawide.com or phone them on 0754742542.